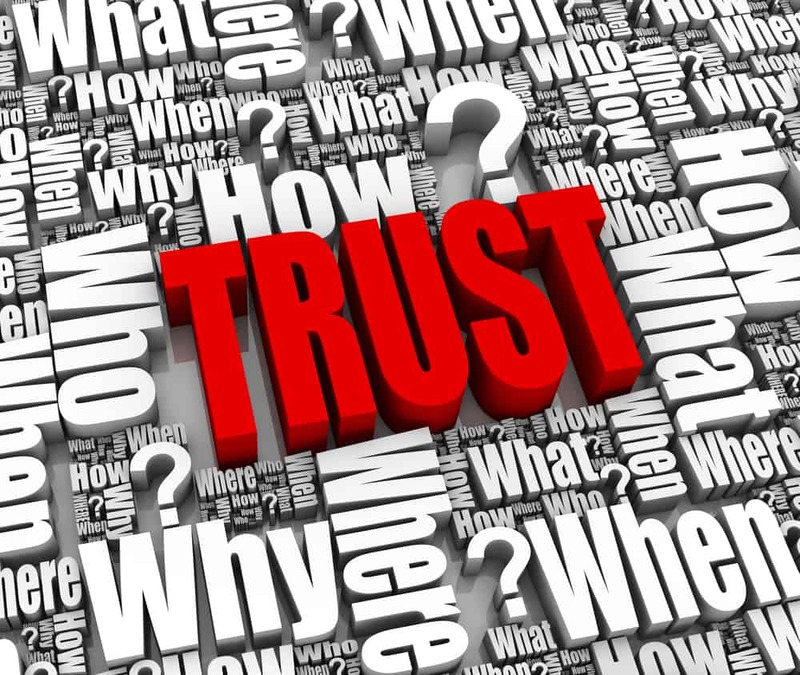 Do You Believe in a Trust Economy? As with any legal contract, some degree of trust is the equivalent to a binding handshake between two or more parties, usually with the promise of delivering goods or services in return for compensation. Though the contract may very well be between parties who are known to one another, how can trust first be established when these known parties have never before done business with each other? Digital identities using modern technologies such as Identity and Access Management (IAM) is good for verifying parties are in fact who they say they are, but this in itself does not establish trust with the assurance each party will deliver as promised. 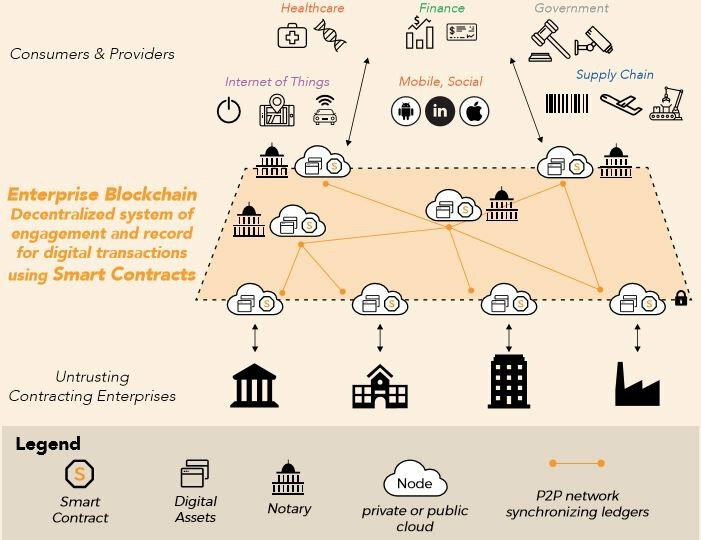 Within the broader spectrum of the Programmable Economy has emerged the notion of the Trust Economy, driven in part by the continued adoption of enterprise blockchain/distributed ledger technologies (DLT) and smart contracts. These new and evolving technologies are opening the door to a Trust Economy by which a company’s assets or an individual’s online identity and reputation are becoming increasingly valuable – and vulnerable. New gauges of trustworthiness are disrupting existing trust protocols such as banking systems, credit rating agencies, and legal instruments that make transactions between parties possible. Ride-sharing apps depend on customers publicly ranking drivers’ performance; an individual opens her home to a paying lodger based on the recommendations of other homeowners who have already hosted this same lodger. These gauges represent the codification of reputation and trustworthiness. In a break from the past, the trust economy developing around person-to-person transactions does not turn on credit ratings, guaranteed cashier’s checks, or other traditional trust mechanisms. Rather, it relies on each transacting party’s reputation and digital identity— the elements of which may soon be stored and managed in a blockchain. The blockchain/trust economy trend represents a remarkable power shift from large, centralized trust agents to the individual. It may mean that with blockchain as the gatekeeper of identity and trust, business and government will have to create new ways to engage the individual—and to add value and utility in the rapidly evolving trust economy. In the trust economy, the individual—not a third party—will determine what digital information is recorded in a blockchain, and how that information will be used. As a repository of valuable data, blockchain can provide individual users with unprecedented control over their digital identities. It can potentially offer businesses an effective way to break down information silos and lower data management costs. It is Sky Republic’s view that a Trusted Digital Ecosystem can effectively enable a Trust Economy through a decentralized ecosystem that provides contract parties with a trusted service, automating the implementation of a contract’s subject matter, tracking party compliance, and governing the contract on their behalf. This will help to ensure any action or event will be legally enforceable. A Trusted Digital Ecosystem (TDE) can provide a secure and permissioned environment for digital business that is also decentralized and transparent. It’s an excellent compromise between control and total cost of ownership (TCO). Trust can be assured through the use of smart contracts – agreed to and implemented among two or more parties – which are self-executing. They automatically verify and enforce contractual clauses once predetermined conditions are triggered. Providing accountability and transparency among parties by maintaining a distributed ledger for each contract. It consists, in an immutable chain of blocks, a recording of all transactions or events received from the parties or generated by the contract during processing. Disintermediation of business relationships. Parties can directly transact in full “control” as they own the smart contracts which are run by decentralized notary nodes on the TDE to process their transactions. During execution, each party using a software node provided by the TDE can report events related to the contract and receive events reported by other parties, or even the contract itself. The TDE provides to all parties a certified distributed ledger of all events reported and verified for the contract called the contract ledger. Providing a “single version of truth” among the parties, the contract ledger is guaranteed to be immutable and similar among parties, which can verify its validity offline, especially verify identities of entities involved. This approach could considerably reduce administrative costs as the smart contracts can be executed multilaterally and are self-governing, while also eliminating uncertainty around the exact terms or the execution process. The TDE enables entities to maintain a repository of digital assets, while processing the transactions and feeding the distributed ledger in a tamper-proof and verifiable way.